This beautiful fireplace is based on Edwardian design and contains many of the features of this design period. Very finely moulded panels grace the legs and frieze and on the Cairo, this theme is carried through onto the corbels. It also features finely engraved rectangular panels on the frieze. Shown here is pure white Sivec Marble. 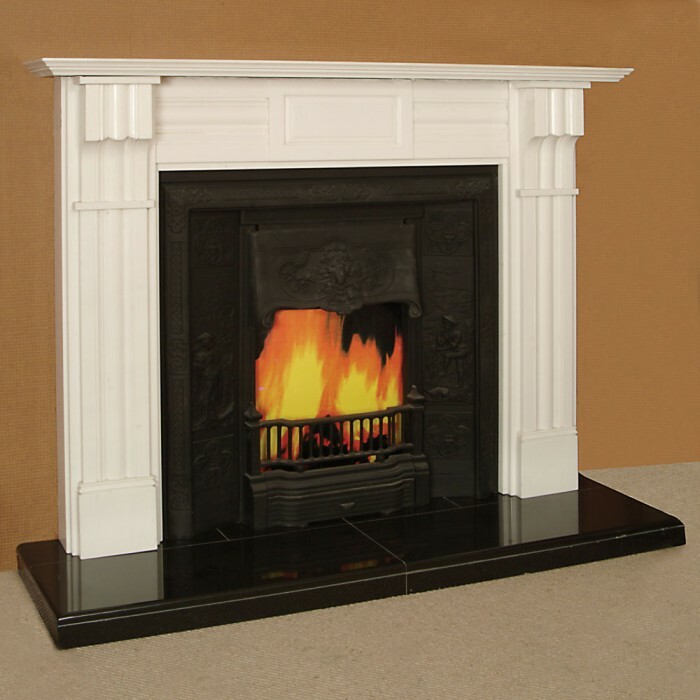 In situations where to similar but not identical fireplaces are required, it is beautifully complimented by 'the Vienna'. Available Sizes: Width: 60" & 54"